Mexico City – Ivon Romero lives with her husband and five children in a large auditorium in the back of a cultural centre in the Gustavo A Madero district of Mexico City. If it wasn’t for the security guard, who locks and guards the entrance 24 hours a day, the centre would look abandoned. Overgrown grass lines the entrance and broken toilets that look as though they have never been cleaned sit outside. 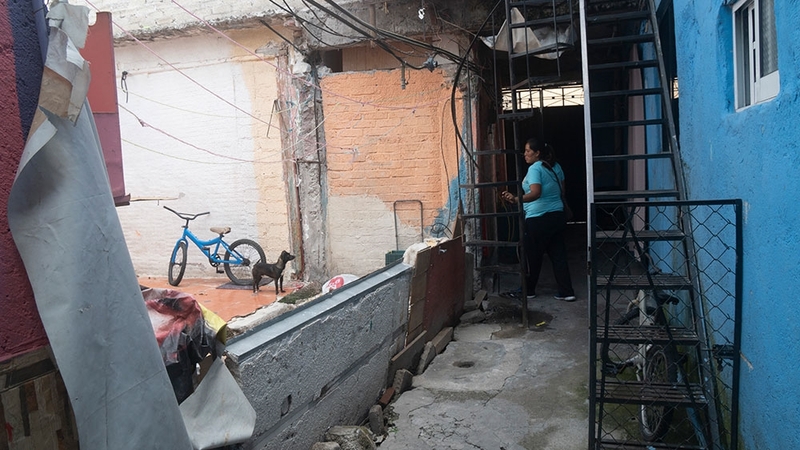 Romero’s home, part of an old housing compound shared with five other families, still stood after the September 2017 earthquake, but was severely damaged. The city’s Civil Protection underpinned the structures with wooden struts, leaving gaping holes in part of the structure. Their nightmares became partially true in February of this year when another tremor hit the country. Although the 7.2-magnitude earthquake’s epicentre was far from the capital, it brought down the rest of Romero’s home. She recalls barely making it out in time before the roof collapse behind them. Some families, including Romero’s, were put in shelters and receive monthly stipends, which generally amount to less than $200. 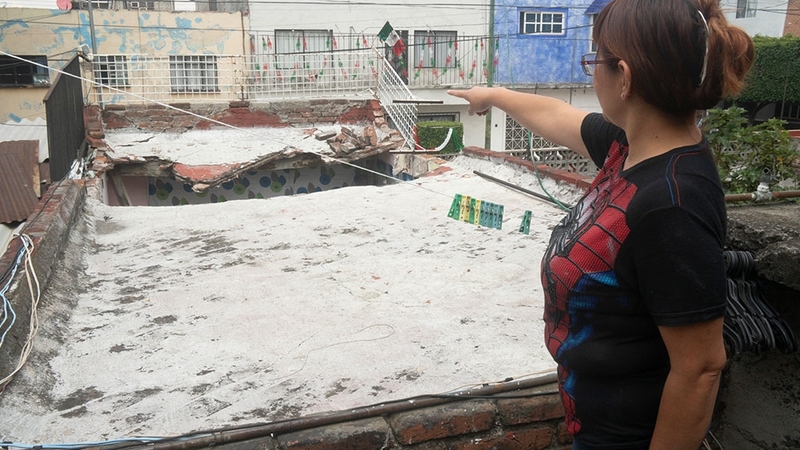 After Romero’s house collapsed, the municipality offered her family the option to live in homeless shelters, but that would have meant living separately from her husband in a female-only facility. 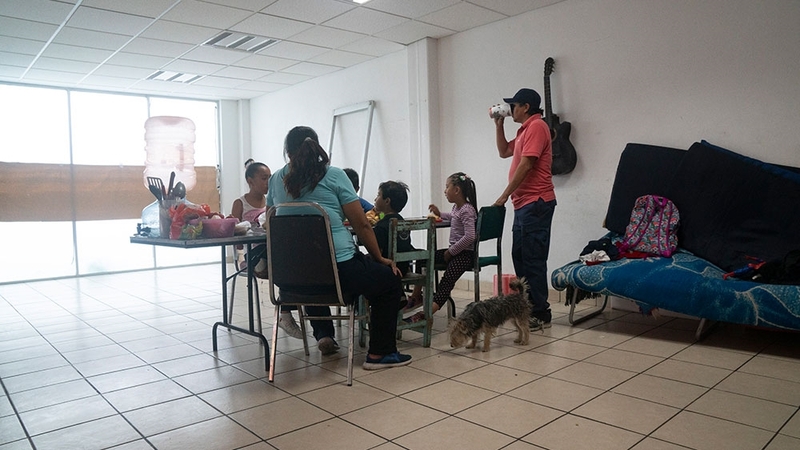 Instead, the city placed the family in a makeshift shelter in the worn-down cultural centre in one of the Mexico City’s most dangerous areas. “We had so little left, and yet someone broke in and stole whatever we had gathered,” says Romero, who is eight months pregnant. “Even the baby clothing and the crib,” she adds, breaking down in tears, unsure if her home will ever be rebuilt as questions remain regarding the funds meant for reconstruction. 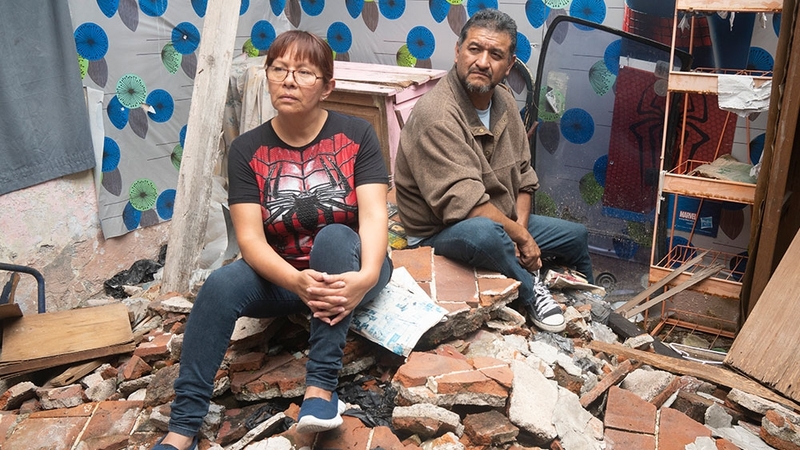 A month after the earthquake, Mexico City’s government put together an expert advisory committee to establish a reconstruction policy, which included determining how much money was needed to rebuild and how to manage it in a transparent way. “It became obvious our role there was pointless,” says Ricardo Becerra, who was appointed by Mexico City’s then-Mayor Miguel Angel Mancera to head the advisory committee. The government reconstruction accountability website does not clarify how most of the funds were split between the different agencies following the local congress’s order. In July, Nosotrxs, an NGO tracking the government’s reconstruction efforts, published a report outlining the lack of transparency on how the funds have been spent. Only 4.7 percent of the funds had been accounted for, according to Nosotrxs. Mexico’s former Finance Secretary Edgar Amador declined Al Jazeera’s multiple requests for comment. The city’s former Mayor Mancera and current Mayor Jose Ramon Amieva did not respond to Al Jazeera’s interview requests. 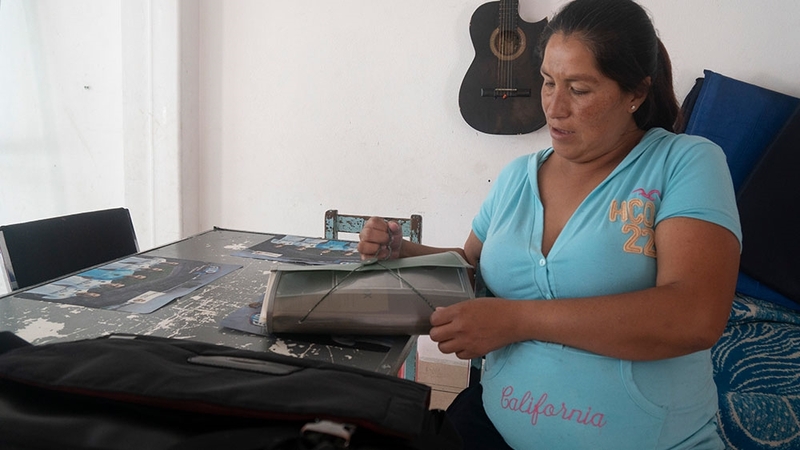 “Everywhere we go it’s a different story, they send us to different agencies and no one can tell us what are the next steps,” says Romero’s husband, Gonzalez, who used to craft aluminium for a living from the workshop he had at home. The family keeps a thick folder with paperwork they have filed to different agencies, and handwritten letters they have sent the mayor and other government offices asking for help. There’s been no written response to their inquires. Like many Mexicans, who live in homes that have been a part of their family for generations, Romero’s family does not have the property deeds under its own name and the process to obtain the correct documents is too expensive. Arcadio Resendiz and his family are in a similar situation and equally confused about how to obtain the reconstruction funds. They also lived in a house within a family complex that has the deeds under a deceased relative’s name. The bedroom of their granddaughters’ room collapsed during the September 2017 earthquake and the rest of their house remains in bad shape. “We really don’t know what to do, every agency tells us something different,” says Resendiz, holding a thick pile of paperwork. “Some have told us we shouldn’t touch anything nor remove the rubble because we won’t be able to access the programmes if we do,” he tells Al Jazeera, explaining that the rain that falls inside the holes in his roof, causing further damage. In July, the Civil Protection deemed the entire complex where Resendiz’s home stands unsafe, saying it needs to be demolished. But the 50-year-old, who cannot work due to health issues, is unsure what to do because he hasn’t been told what will happen next. “We can’t have it demolished without knowing if they’ll rebuild it; where will we go?” he says. Civil Protection and the mayor’s office did not respond to Al Jazeera’s request for comment. According to Nosotrxs, which surveyed 272 homes earlier this month, individuals and families lived in more than 30 percent of the damaged buildings that were surveyed. About 25 percent of the homes that have been tagged “high risk of collapsing” are still inhabited. And nearly half of the buildings that need to be demolished are still standing. Cravioto says he will prioritise finishing the damaged homes census, which was ordered last year, and setting up what he calls a single-booth programme so that survivors can get help from a single agency. He also says he expects to finish with reconstruction within two years, adding that money shouldn’t not be an issue. “It is the current administration’s responsibility to hand us over the funds with clear accountability,” Cravioto says. “We will audit them, and we hope they leave us enough funds for reconstruction. But either way, money will not be an issue,” he adds without elaborating. We can’t have [our home] demolished without knowing if they’ll rebuild it; where will we go? In the meantime, families like Romero’s and Resendiz’s continue to manage with the little they have.